Overweight and obese adults who followed the Weight Watchers program lost more than twice as much weight as those who received weight-loss advice from a doctor or nurse, according to a new yearlong study funded by the company. Miranda Lambert may have forgotten to thank her fiancé, fellow country music star Blake Shelton, when she won her first Grammy this February. Pam Wurst struggled for years to lose weight. One of the triggering points for her to finally shed pounds was when a 5-year-old child patted her stomach and asked: "When is the baby coming?" A weight loss study by Jenny Craig. A survey of sexual health and condom use by Church & Dwight, the company that makes Trojan condoms. You've managed to make it to spinning class (for the second time this week! ), but as soon as the instructor starts the cooldown, you head for the door. Hold it right there. Turns out, stretching is just as important as getting on the bike in the first place. 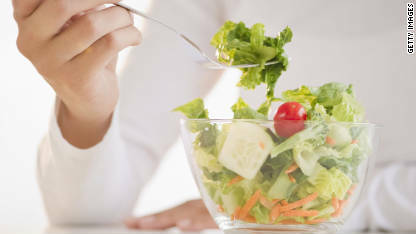 Most of us already know that eating less and moving more are the keys to dropping extra pounds. But if you're already doing everything "right" and can't seem to lose weight -- or are even gaining it -- you may have a hidden health condition that's sabotaging your efforts. And the symptoms may be so subtle that even your doctor can miss them. Here, some possible weight-loss blockers -- and how to get the help you need. Hallelujah diets. Body by God. Karate for Christ. Gospel groove workouts. Biking for as little as five minutes a day can help women minimize weight gain as they enter middle age, especially if they're overweight to begin with, a new study suggests. There are countless opinions regarding how to improve health care in the United States, but many experts agree on one fact: "Our current health-care system is mainly a sick-care system," says Adam Perlman, executive director of the Institute for Complementary and Alternative Medicine at the University of Medicine and Dentistry of New Jersey. Eating cheese boosts the immune system of older people, according to a new study by scientists in Finland. Ask Douglas Powell, food safety expert and keeper of Barfblog, whether he'd consider a salad of fresh romaine for dinner tonight. From Detroit to Denmark, the power of the pedal is generating electricity and energy conservation awareness. Help to control binge eating could be as simple as a self-help book and check-ins with a health educator, according to new research out this month. The headlines sounded promising -- 20 minutes of interval exercise can provide the same benefits as many hours of conventional workouts. But soon after came another study, this one suggesting that women should work out an hour every day just to maintain their weight. The task set by a food blogger seemed deceptively simple: Eat real food for a month. Worried about your child's weight? You can do more than just nag him or her about eating too much junk food. Implementing three healthy family habits--eating dinner together, making sure they get enough sleep, and limiting TV--may help. Obesity rates in the United States are still sky-high, but for the moment they appear to have stopped climbing higher, according to new data released by the Centers for Disease Control and Prevention. Her death made headlines around the world: Samantha Clowe, a 34-year-old British woman, died suddenly this fall from a previously undiagnosed heart condition. At the time of her death, Clowe was following a plan called LighterLife, a very low-calorie diet designed to help obese and severely obese patients lose weight. Most college students expect to receive their diplomas on the basis of grades, but at a Pennsylvania school, physical fitness matters too. The Food and Drug Administration has notified about 30 manufacturers of alcoholic beverages containing added caffeine that it intends to take a look at their products. Two people have died and 28 people have fallen ill with matching strains of E. coli after an outbreak in ground beef, the Centers for Disease Control and Prevention said. We all know we're supposed to eat healthy portions. So why is it that a rough day at the office or even just the smell of chocolate-chip cookies can cause us to throw our best intentions out the window? Do you crave pinot grigio or prefer a nice Riesling? Turns out a glass of wine may be more than just a drink -- your choice could shed light on your personality too. As college students enter the halls of elite education and higher learning, here is one piece of advice: Learn from the caveman. Michael Phelps, who scored his fifth gold medal at the world championships in Rome, Italy, last weekend, has a body that frequently propels him to world record speeds in the pool. Weight-loss surgery isn't risk-free, but a new study suggests that in the hands of a skilled surgeon, it may be safer than previously thought. However, some people -- including those with sleep apnea or a history of blood clots -- are more likely to have problems with surgery than others, according to a study published this week in the New England Journal of Medicine. Two federal agencies warned consumers Friday not to eat raw Nestle Toll House refrigerated cookie dough. If you're middle-aged or older, a 10-minute walking test can give you and your doctor a pretty clear picture of whether you are at higher risk of dying during the next few years compared with other people your age, according to a large new analysis of data showing that cardiorespiratory fitness is intimately linked with the risk of dying of just about any cause. Do you want to keep your vision clear as the years go by? Put fish, olive oil, and nuts on the menu, but stay away from trans fats, according to new research from Australia. Celebrities and their bodies. We're obsessed. They're obsessed. And it spills over to how many people feel about themselves. But how much concern over weight gain is about vanity and how much is about critical health issues? Here's yet another reason to stay in shape: Thinner people contribute less to global warming, according to a new study. In January, salmonella was linked to peanut products; last week, pistachio products. And on Thursday, the Centers for Disease Control and Prevention said overall infection rates for salmonella and other foodborne pathogens have not changed significantly over the last four years. 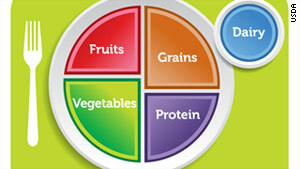 75 percent of U.S. adults are projected to be overweight or obese by 2015, according to researchers. Americans consume anywhere from 150 to 300 more calories than they did three decades ago and half of those calories come from liquid. 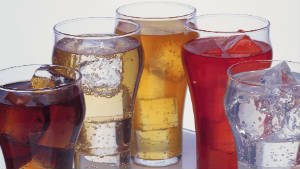 A new study out of John Hopkins Bloomberg School of Public Health finds that reducing liquid calories, especially from sugar-sweetened drinks such as punches, fruit juices and sodas, helps people lose weight and keep it off. CNN correspondent Sean Callebs has just finished a long assignment: living on food stamps during all of February. He tracked his experiences on the American Morning blog. First lady Michelle Obama has a fashion following, with blogs tracking her daily garment choices. The founder of one of America's largest pizza chains has offered unexpected advice to his customers to limit themselves to only one or two slices. Exercise can be a sweaty proposition. And with millions of Americans jumping on the exercise bandwagon, all that perspiration can become downright messy. Every year millions of people go to the mountains for backpacking, skiing, mountain climbing and other activities and are surprised to find that they don't feel well. It's because the higher you climb above sea level, the less oxygen there is in the air. This causes problems for people who normally live at lower altitudes because their bodies aren't used to working on so little oxygen. A study published in the New England Journal of Medicine in July 2007 found that even some airline passengers can fall victim to altitude sickness. It's halfway through January and your initial enthusiasm for those fitness resolutions may be waning. Losing weight and getting healthy isn't easy, but it's often the little things that add up over time. Here are some things you may want to avoid and some you should include in your diet if your resolution is to lose weight and feel fine in 2009. How do you stay motivated to begin and maintain a healthy weight and lifestyle? At the Aimin Fat Reduction Hospital in the Chinese city of Tianjin, they have never seen anyone so big. Our daughter is 22 and suffers from daily migraines. We have tried numerous doctors and medicines in three states and still have no answer. She has no life. This has been going on for more than six years. We are hoping for an answer.